Winter Solstice: Birds in the Backyard. 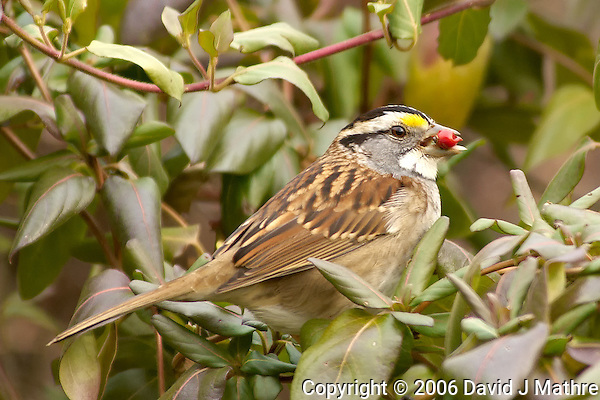 I caught this white-throated sparrow eating a red berry in my backyard. The Nikon 80-400 mm VR lens is probably my most used lens. It is light enough to be hand held, and gives the reach to get images of small birds.